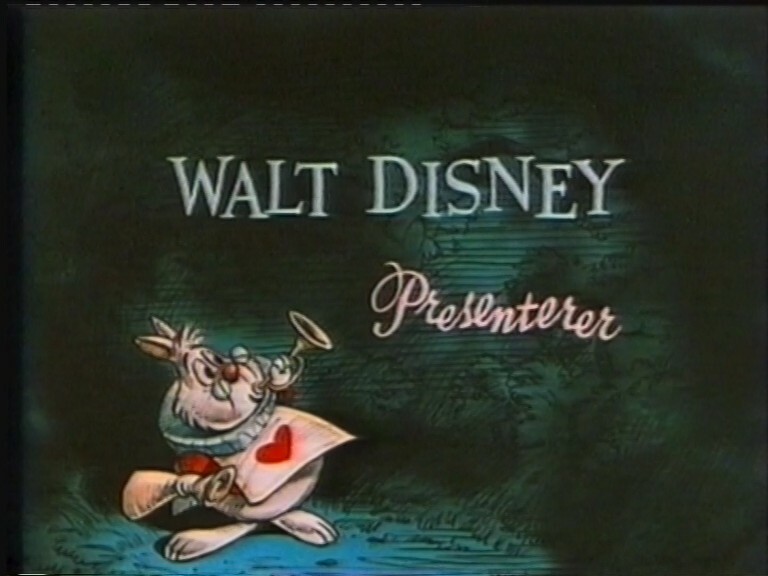 Jag driver en hemsida dedikerad till utländska dubbelser av Walt Disney animerade filmer och jag letar efter någon att bidra med bilder / information till mina svenska sidor. Dessa bilder inkluderar översatta texter, krediter etc. Poster och triviainformation ges på varje sida när det är möjligt. 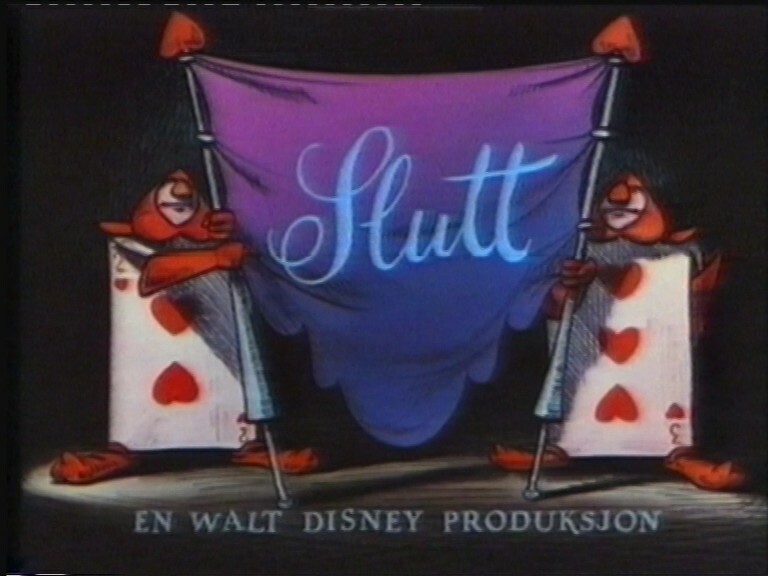 Jag har använt huvudwebbplatsen http://www.dubbningshemsidan.se som en viktig källa för information men det har inte de bilder jag letar efter. Detta är en Google Translate från engelska som svenska är inte mitt modersmål. Jag ber om ursäkt för eventuella fel. 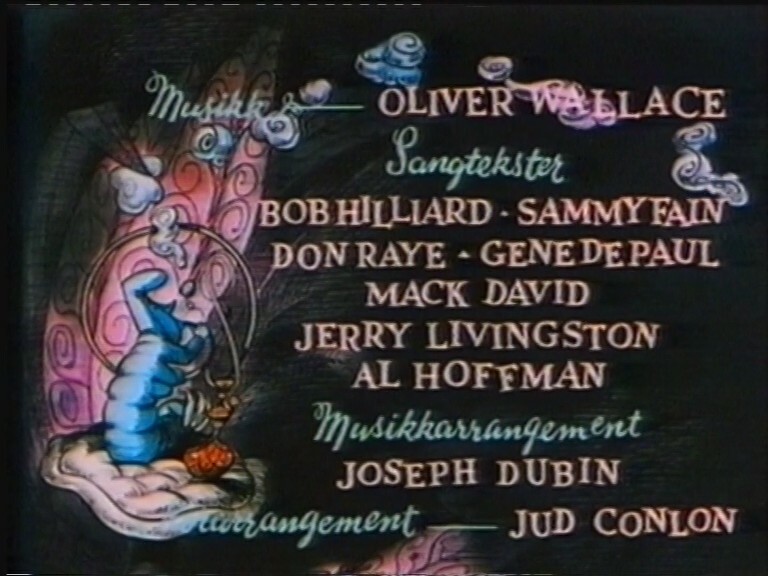 I run a website dedicated to the foreign dubbings of Walt Disney animated films and I'm looking for someone to contribute images / information to my Swedish pages. These images include translated texts, credits, etc. Posters and trivia information are provided on each page whenever possible. I've been using the main website http://www.dubbningshemsidan.se as a primary source for information but it does not have the images that I am looking for. This is a Google Translate from English as Swedish is not my native language. I apologize for any errors. Most people in Sweden understand English fine, so no worries. 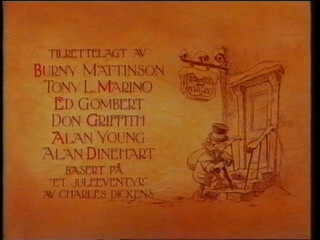 Specifically I am searching for posters, VHS boxes, images of end credits, translated texts, etc. Some of the posters and VHS boxes are in low quality and I do not have some of the translated texts. The VHS releases and some of the DVDs have to have the translated texts. Where did you get the pictures for the Danish dub of Snow white? 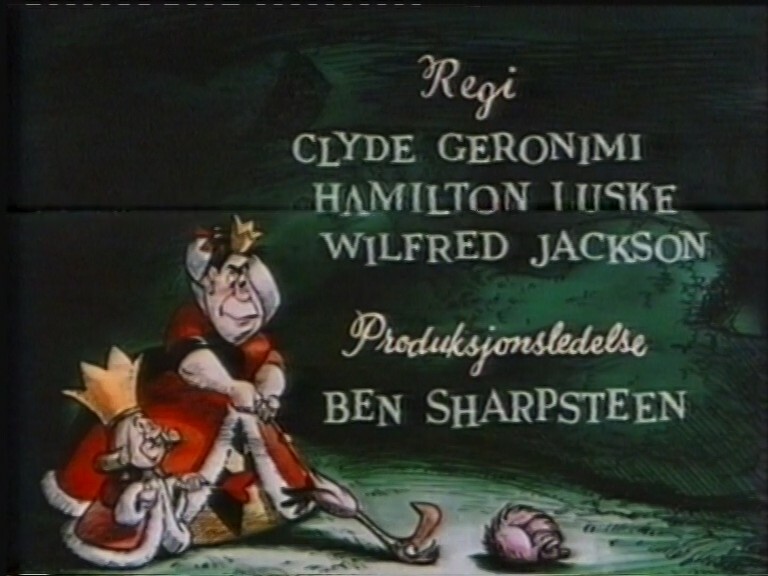 I am from Denmark, and I've been searching for for the DVD release, but I can't find it as it's an old release. 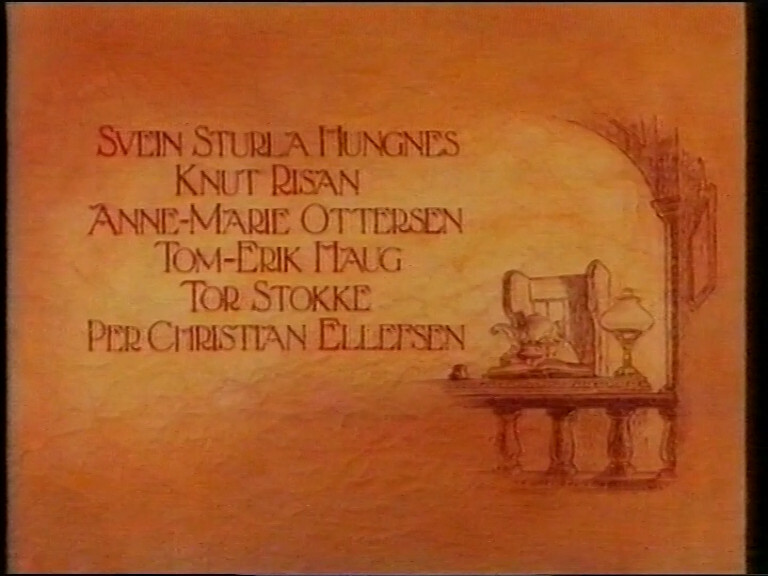 @Artan1528 the 1994 Danish VHS release has the translated texts. @Artan1528 I have sent you a private message. 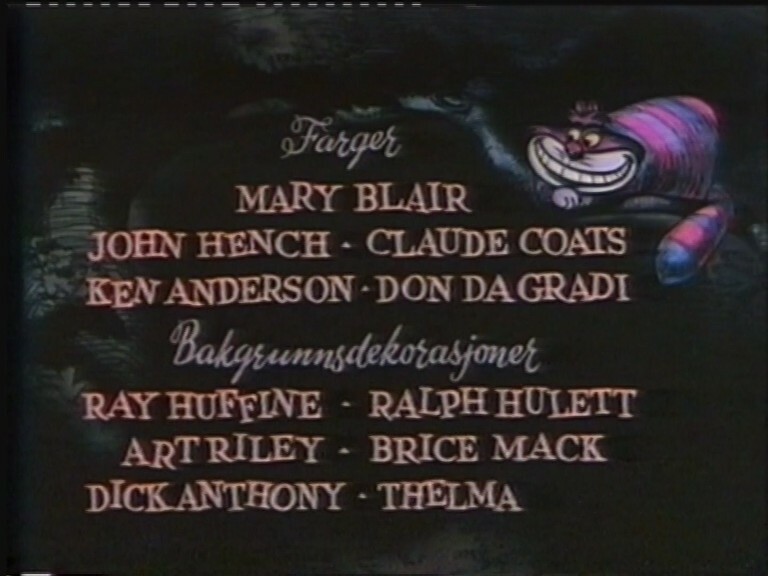 I've got pictures of the Norwegian title cards from the 1990-ish VHS release of Alice in Wonderland, if you're interested. I should also have the Norwegian title cards from Mickey's Christmas Carol. I'll see if I can find them. @TrondM Wow ! Thank you so much !! 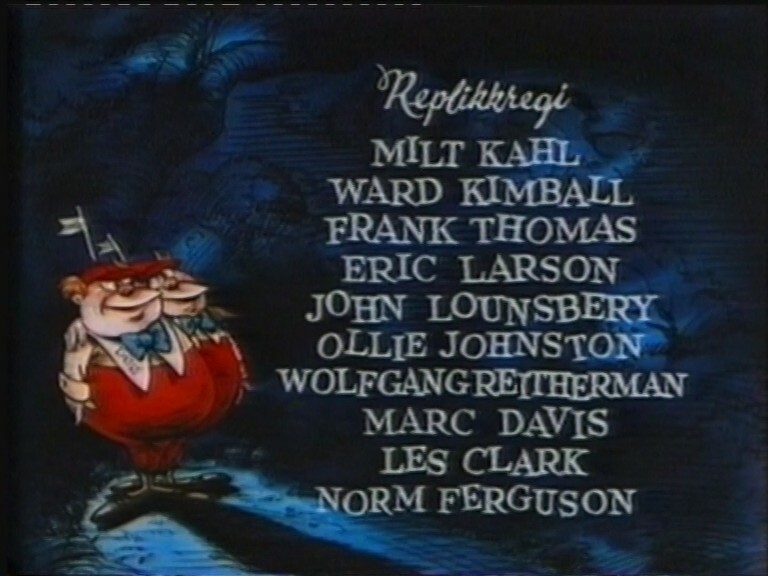 Would you happen to know the voice cast for the first Norwegian dub of Alice ? Why didn´t Disney (company) port-over these translated titles to DVD and Blu-Ray? 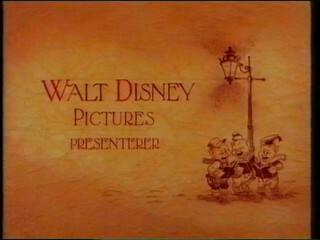 If the animators had the resources to create them, the least Disney could do is to port-over them. There is a cast list on Norwegian Wikipedia. I don't know more than what's listed there, I'm afraid. 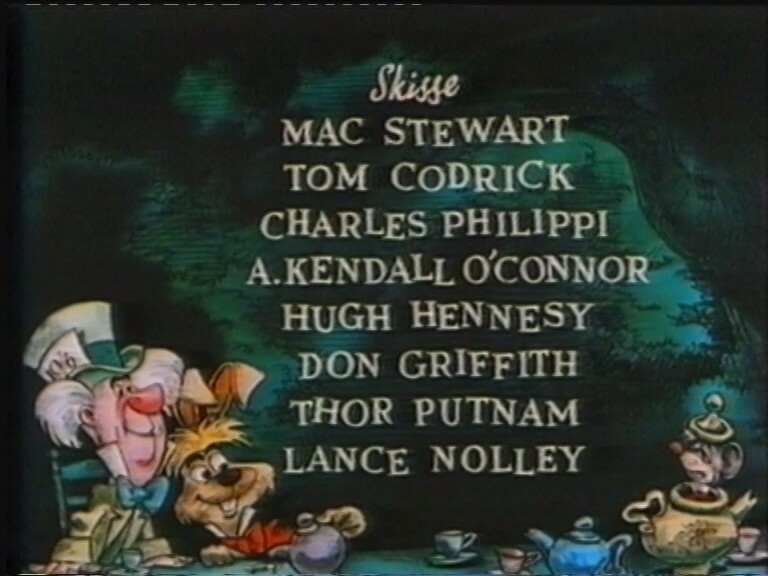 There are no voice credits on the VHS. 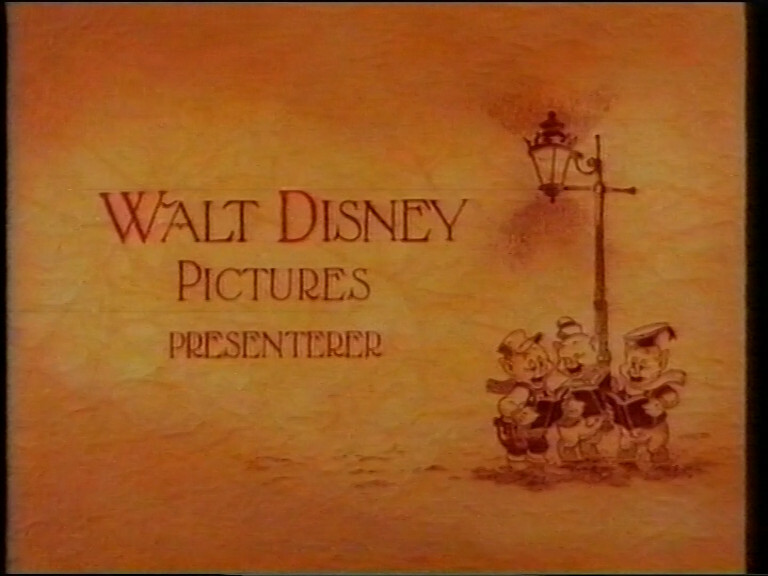 Mickey's Christmas Carol is quite an interesting case. 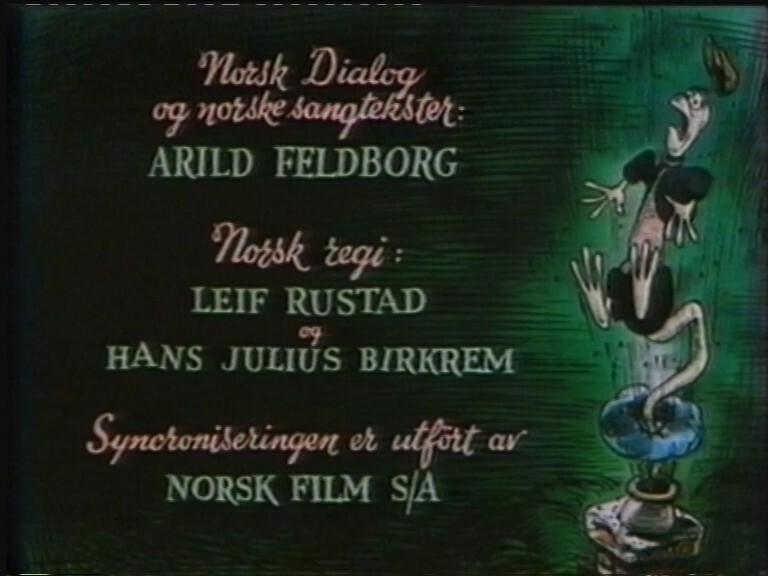 The Norwegian and Danish VHS releases both have localized image versions, with the title and dub credits during the opening credits. 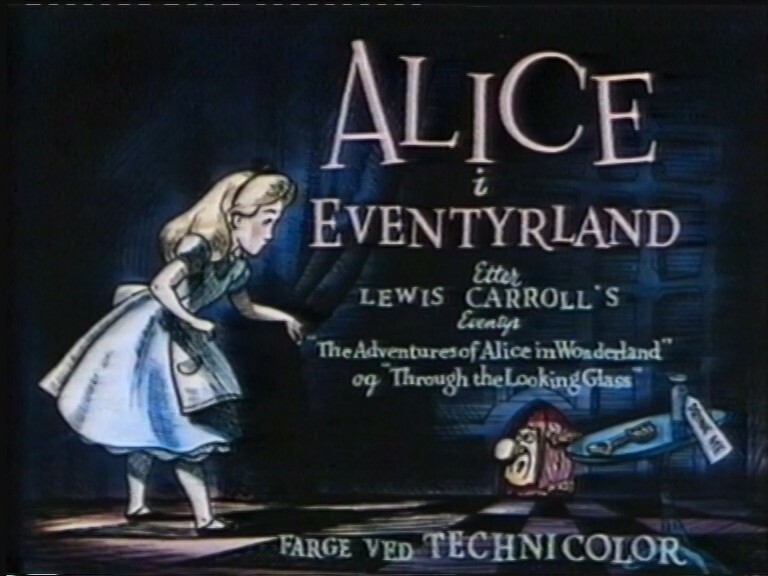 These image versions are likely identical to the theatrical versions. 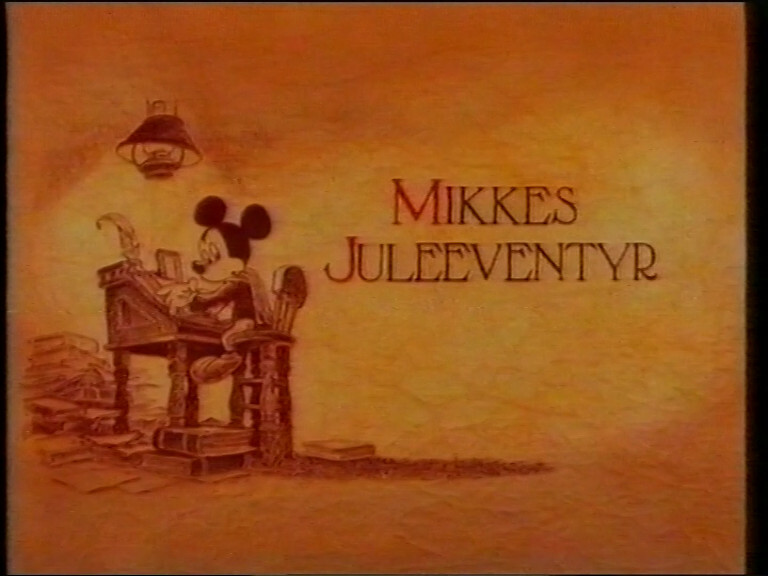 But the Swedish VHS release of Mickey's Christmas Carol only has original image version, with no localized opening and no dub credits; even though the film did have a Swedish image version during theatrical showings. Very strange and unfortunate. 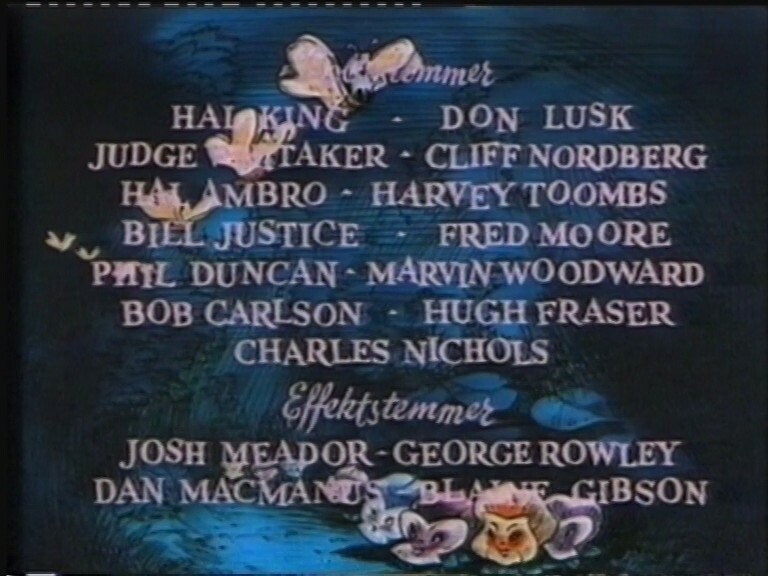 On the other hand, the Swedish VHS release conclude with a list of Swedish voice talents for the bonus shorts (The Night Before Christmas, Santa's Workshop and Once Upon a Wintertime), but not for the main film, whereas the Norwegian and Danish VHS releases lack information on voice talents for the bonus shorts. 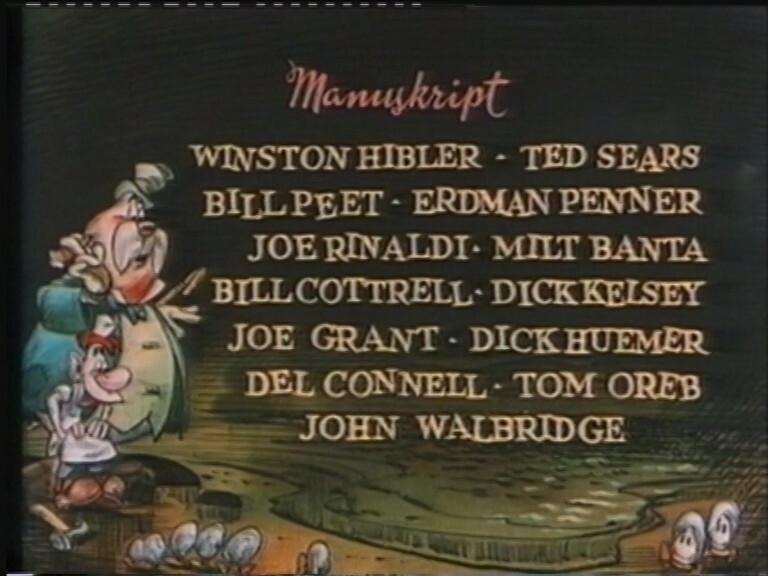 Haven't they messed up the dub studio on the credits? 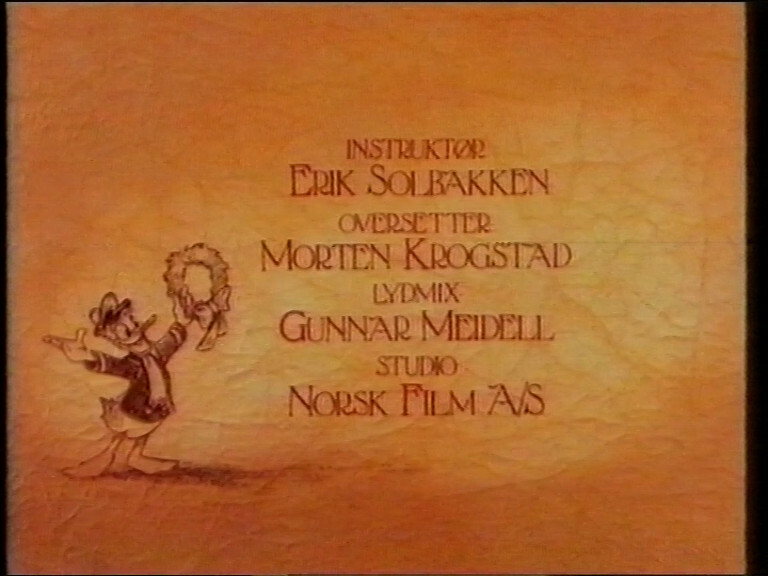 Isn't it supposed to be Norsk Film A/S, and not Norsk Film S/A...? Well spotted. 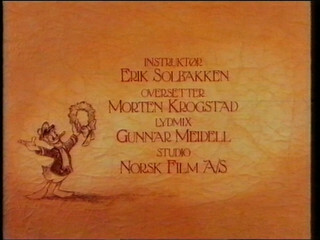 Yes, it should be Norsk Film A/S. There are several other oddities in the translations here, as well. 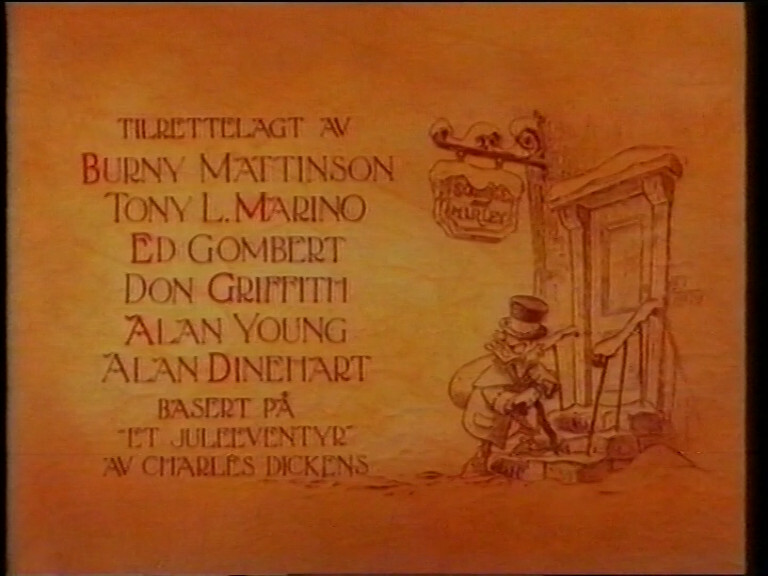 I can't make out what the first part of the translation for "Character Animators" is. It might be "Andre", but I really can't tell. In any case - translating "animators" to "replikk-" (dialogue) or "stemmer" (voices) is bizarre. In principle, I agree with you. I can only assume that it's because they want to use the same release in multiple countries. Creating a DVD or a Blu-ray that branches between different localized title cards is a lot more complicated than keeping the same video and just switching the language tracks. If you try it, you can be almost sure that you will break compatibility with some odd DVD- or Blu-ray-player out there. So you will have to do a lot more testing to be reasonably sure that it doesn't happen. 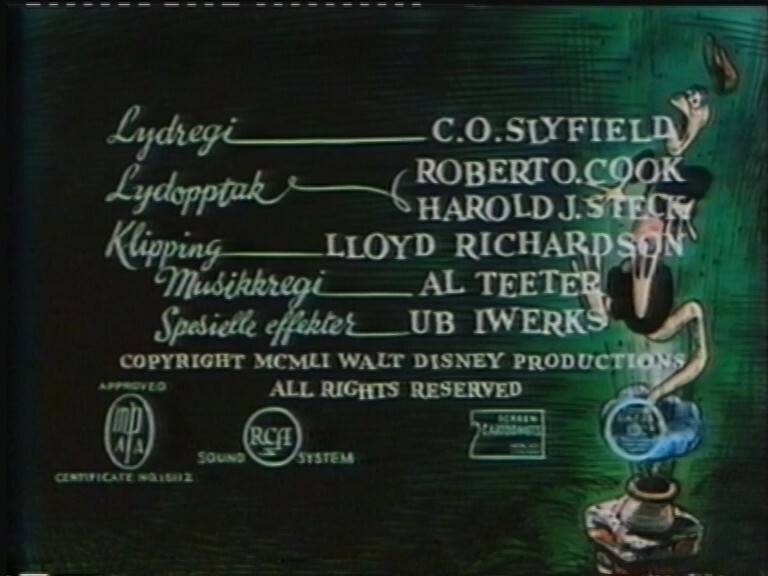 Also, localized title cards may in some cases have been lost, stored at a different location, hard to restore etc. For VHS you can use scans of 35mm exhibition prints or other old material in standard definition. DVD and Blu-ray require better picture quality, and sometimes such material may be hard to obtain for the localized parts. Today we have quite powerful image-editing softwares. They could just create new ones based on the Blu-ray restorations. It should not be THAT hard.